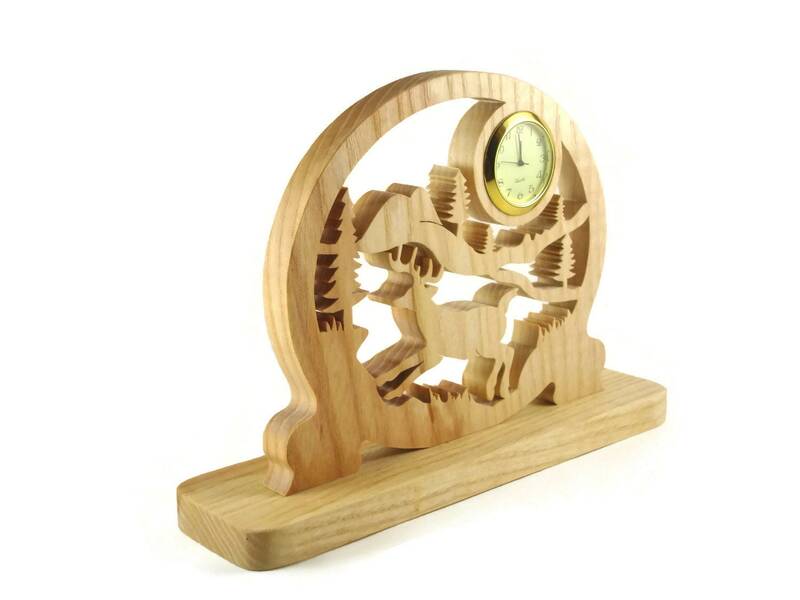 This Deer country scene desk clock was handmade using oak wood cut out by hand using a scroll saw. 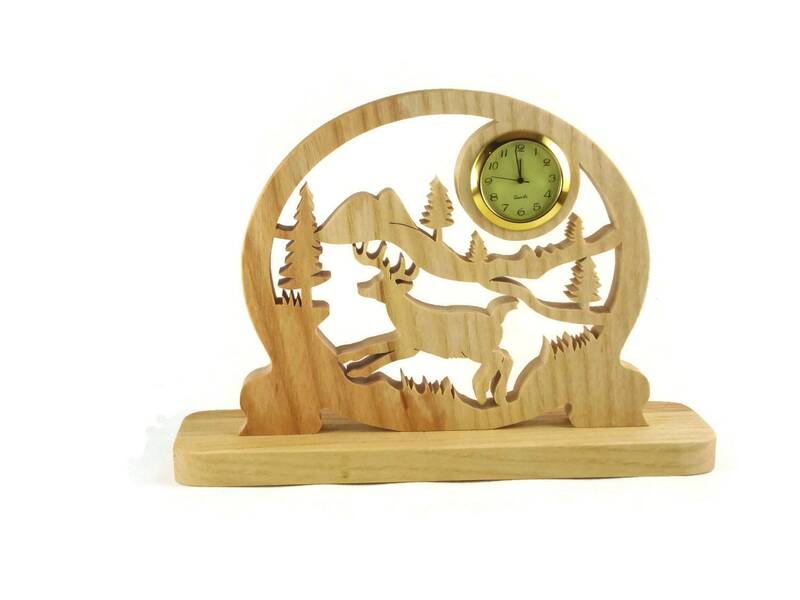 This clock features a running deer with a country scene of hills and trees all encased into a oval shape and mounted on a base for stability. The 1-7/16 inch quartz clock insert features a white face with black Arabic numbers, a glass lens, gold plated bezel trim. 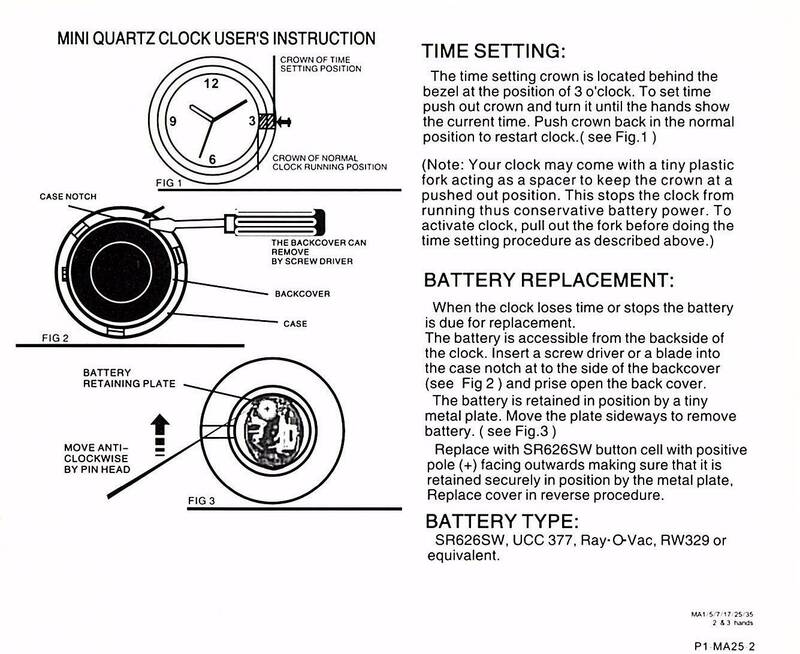 Clock comes with battery installed and ready to be activated. The finish used on this beautiful timepiece is a homemade blend of a non-toxic all natural bees wax and mineral oil mixture. 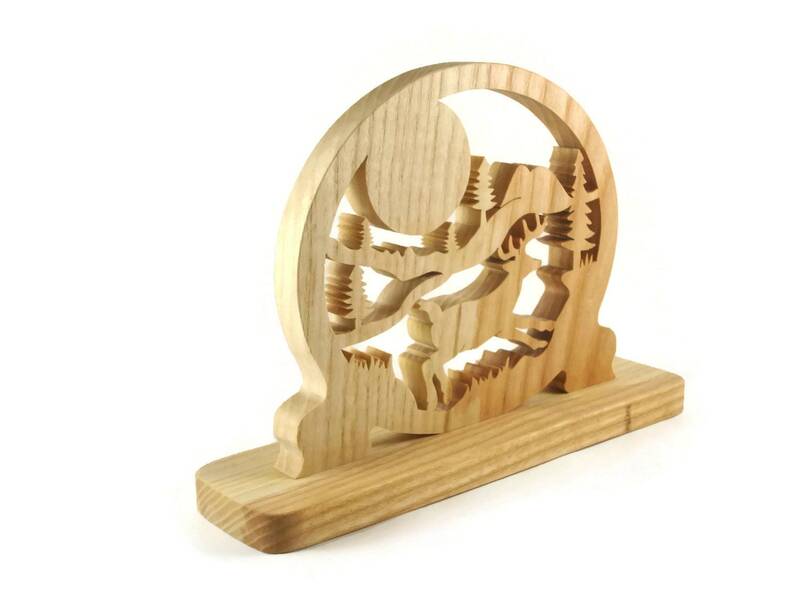 This finish gives the wood a silky smooth soft feel, as well as protects the wood for many years of enjoyment. Oak lumber not your favorite? 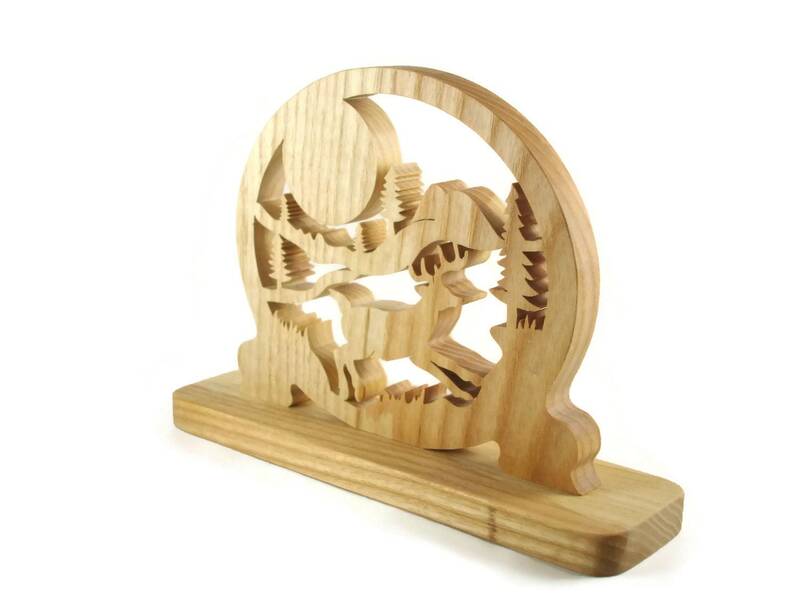 I would be happy to make this from another type of wood, just send me a message. 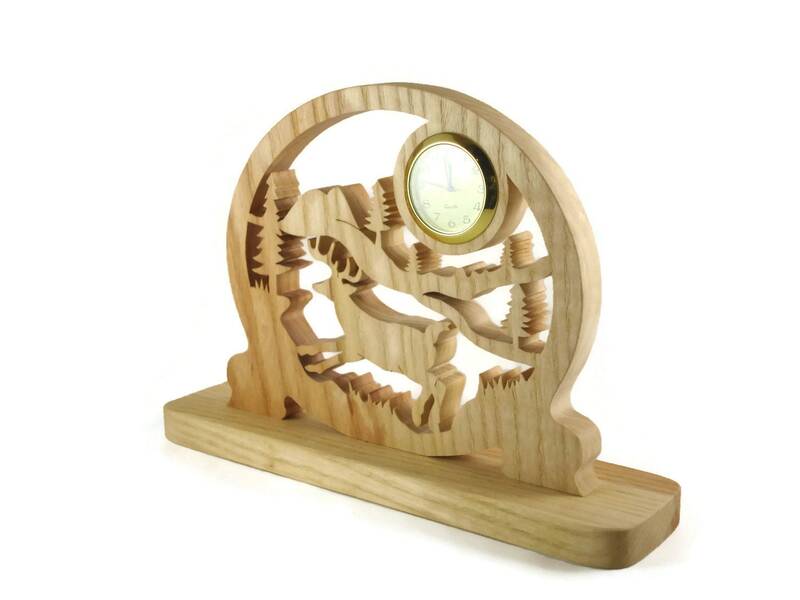 I have many other styles of wildlife and sports themed clocks available, if I do not have what you have in mind message me, maybe I can make something you do have in mind..